Comparison site for merchant accounts, RateCreditCardProcessing.com, has recently unveiled its latest list of the best and the worst performing credit card processing companies to use in the lodging industry. Hotels, motels and resorts in the tourism industry know that accepting credit cards is not only a convenience for their clients but a necessity for the survival of their business. 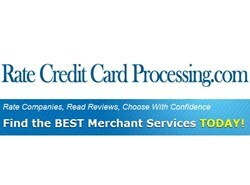 To ensure hotels and motels owners use only the best performing credit card processors and not those whose services are found wanting, RateCreditCardProcessing.com has released its latest ranking of merchant accounts catering to businesses in the lodging industry. The ranking list, featuring the best and worst providers for hoteliers, is ordered solely by customer reviews. Within moments a visitor can figure out which company is providing services best suited to their unique needs. "Saddling ones business with unnecessary costs is not necessary, and there is no need to fall for the bait & switch techniques of unsavory providers" Mr. Wong added. "Our customer reviews make it easy to see which companies serve their clients, and which are solely out to make a quick buck on the backs of their clients." It’s worth noting that a recent FICO data revealed an increase in the U.S. credit card fraud rate to 17 percent, according to a WSJ report. Reports such as this, according to the site, make it paramount that entrepreneurs work only with payment services companies that take security seriously and are equipped to properly protect their clients. RateCreditCardProcessing.com is the go-to site for 100% user driven reviews and feedback on credit card payment processing companies, focusing on consumers' perspectives on how their chosen company has done business with them.